Like other historical and archaeological sites, shipwrecks have always dazzled adventure lovers from all over the world, and, in recent years, shipwreck diving has become one of the most rewarding specialized areas of scuba diving, giving the unique opportunity to visit the mysterious past. 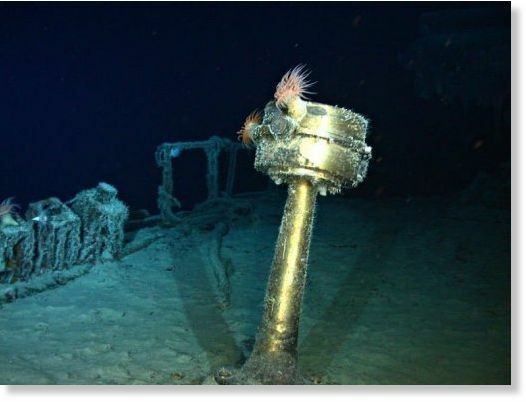 A week ago, on September 26, a Florida-based marine exploration company – Odyssey Marine, announced that a shipwreck (SS Gairsoppa) featuring 200 tones (seven million ounces) of silver haul, worth about £150 million had been found in the Atlantic Ocean, which is believed to be the largest haul of precious metal ever discovered at sea. The wreck of the ship (412 ft) was found this summer, some 4,700 meters beneath the North Atlantic but it was only identified as SS Gairsoppa last week, a British vessel traveling from India that was sunk by the German U-boat in 1941. Though details about the ship are still being held in extreme privacy, one thing is certain that work to recover the cargo will commence in the second quarter of 2012. It is also clear that, according to a contract with the department of transport, Odyssey Marine will keep eighty percent of the cargo’s value. The previous sunken ship to be considered the richest ever haul was ‘Nuestra Senora de Atcoha,’ a Spanish galleon that sank off of the Florida Keys in 1622, and was discovered by a treasure-hunting pioneer Mel Fisher.